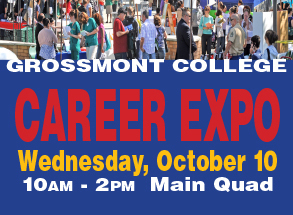 One of the oldest and largest community college job fairs in the county continues its successful run with the 40th Annual Career Expo at Grossmont College set for Wednesday, Oct. 10. It is free and open to the public. More than 100 employers and exhibitors are expected for the 10 a.m.-2 p.m. event in the Main Quad. Several college programs will also be represented to make the event both a job fair and an opportunity to explore careers. “This long tradition has continued because of Grossmont College’s commitment to providing our students and the community with ever-expanding opportunities to explore the widest range of career options,” said President Nabil Abu-Ghazaleh. Three instructors at Grossmont and Cuyamaca colleges have been selected by their peers as among the academic year’s best faculty members. The honorees were announced at fall convocations in recognition of their exemplary service to the two East County campuses. 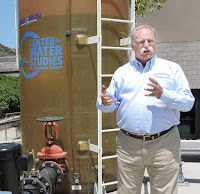 Donald Jones, a part-time Water and Wastewater Technology instructor, was honored with the Outstanding Faculty Award for being a driving force behind the new Center for Water Studies at Cuyamaca College. At Grossmont College, English Department chair Oralee Holder was lauded with the full-time Distinguished Faculty Award and sociology instructor Richard Unis was named winner of the adjunct Distinguished Faculty Award. Chancellor Cindy Miles said it is the caring and commitment of faculty that have made Grossmont and Cuyamaca colleges such stellar institutions. Jones began attending San Diego State University in the mid-1960s with aspirations to become a high school geography teacher and coach. But a summer job with the City of San Diego Water Department’s Lakes Recreation Program took him in another direction after finding that working the boat docks and maintaining the lakes better suited his love of the outdoors. He spent the next 42 years in the water industry, eventually running the San Diego Water Department’s safety and training program and becoming the safety and risk manager for the Vista Irrigation District in the mid-1990s until retiring in 2007. Over the years, he also continued his education, earning an associate degree from Grossmont College; a bachelor’s degree and graduate courses in Public Administration from SDSU, and a master’s degree in Human Resources and Organization from the University of San Francisco. 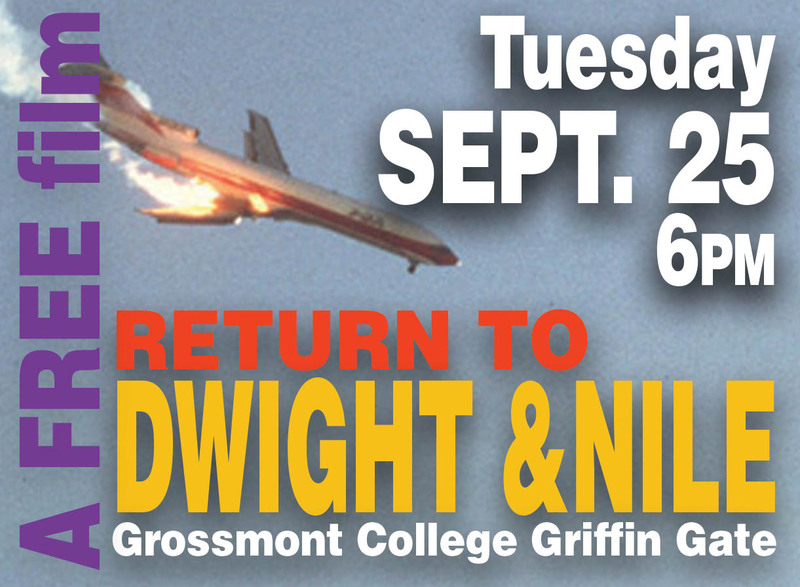 The 40th anniversary of the PSA Flight 182 crash in San Diego that killed 144 people and scattered wreckage and carnage across North Park will be remembered at an event Sept. 25 at Grossmont College. Family members of those who perished, as well as first responders and PSA workers, will share their memories following a free, public screening of the documentary film, “Return to Dwight and Nile,” at 6 p.m. Tuesday, Sept. 25, at Grossmont College’s Griffin Gate, Building 60. The event is being organized by Grossmont College History Professor Marty Ennis, who noted that what was at the time the deadliest air crash in the country was a uniquely San Diego story. The airline, Pacific Southwest Airlines, was based in San Diego and many aboard the doomed flight were PSA employees. Food, music and dance at Cuyamaca College and a visit at Grossmont College by nationally acclaimed poet Yosimar Reyes will highlight a series of special events honoring Latinx Heritage Month at the two East County colleges from mid-September to Nov. 1. 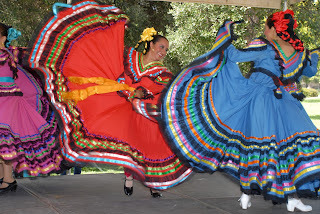 Karla Gutiérrez, chair of Cuyamaca College’s World Languages department, will be the keynote speaker at a College Hour celebration outside of the B Buildingfrom 11 a.m.-1 p.m. Thursday, Sept. 13, which will also feature ballet folklorico dancers and music by DJ Rambo. “Being Latina is knowing that the road is tough, but also knowing that I can overcome any obstacle,” said Gutiérrez, born and raised in Mexicali and a graduate of Imperial Valley College and San Diego State University. A celebration of banned books, readings from former rock groupie Pamela Des Barres and a collection of poetry crafted by Grossmont College Professor Joe Medina are among the highlights in this year’s annual Fall Reading Series at Grossmont College that continues Sept. 12 with an Open Reading at the college library. The annual Fall Reading Series showcases literature, award-winning authors and others with an inspiration to write. Events are sponsored by the English Department and Creative Writing Program of Grossmont College, as well as a variety of other campus agencies and programs. Teresa Greenhalgh is a pro when it comes to firsts. She was at Valhalla High School when it first opened in 1974. She was one of the first members of Steele Canyon Charter High School’s governing board. And she was among the first 1,947 students to enroll at Cuyamaca College when the campus opened 40 years ago Aug. 28. She also met her husband and fellow first-year Cuyamaca College student, Darren, at the campus. These days, both are among the dedicated Cuyamaca College faculty and staff celebrating the campus’s 40thanniversary this year: Darren Greenhalgh is an adjunct engineering instructor; Teresa is a full-time assistant overseeing Cuyamaca College’s Hispanic Serving Institution Title III grant.